Every time I visit a parish to lead the BIBLE360: Introduction to the Bible program, the questions of 'where to from here' is posed towards the day's end. The program raises heaps of possibilities to answer that question, from starting small groups to further in-depth reading. This new book will now join the ranks of texts recommended in that context. Author John Holdsworth is currently Archdeacon in the Anglican Diocese of Cypress and was formerly a theological college principal, and dean of faculty of theology at Cardiff University. He's taken a very practical approach to the study of ideas about the New Testament here. 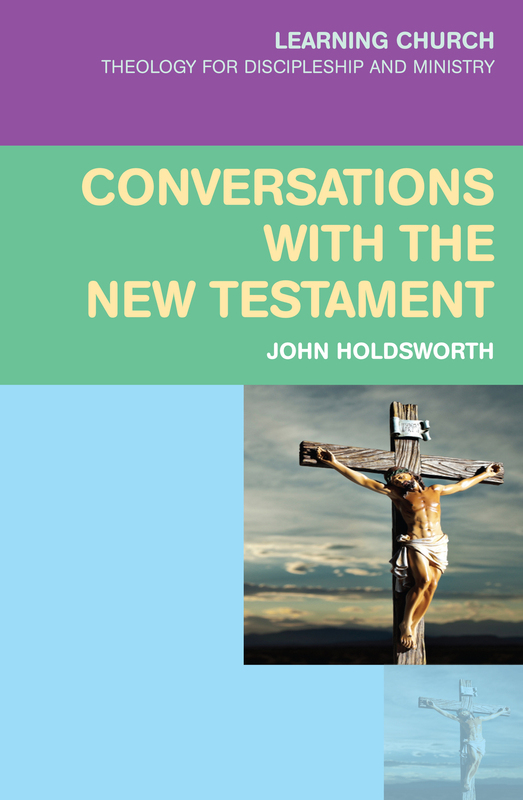 Taking the concept of conversations seriously, Holdsworth writes this book following the progress of a hypothetical Church Learning group investigating the second part of Christian scripture. So the book is not a narrative as such but manages to delve into the NT in a very user-friendly way. You come to know some of the members of the group and learn who's approach to the Bible is most like your own. Hence, you find your own questions being addressed and answered. Using this innovative approach, Holdsworth can deal with challenging topics simply, always outlining the variety of possible positions to any question or theme and pointing to further texts for more sudy. Each chapter ends in such a way, with Holdsworth listing further reading and giving a thumbnail sketch of the worth of each of those books. This is a terrific book for a lay person wanting to deepen their understanding of the issues, themes and message of the New Testament: a quick read and a memorable one. You can borrow Conversations with the New Testament from the Roscoe Library.